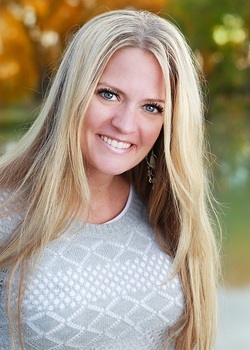 Amanda Strong is a YA author of two paranormal series; Watchers of Men and Monsters Among Us. Amanda has loved spinning tales since childhood. As a child, it was not uncommon to find her hiding in some random corner, scribbling away in her spiral bound notebook, with her bright pink glasses. You could say some things have not changed. Amanda signed with Clean Teen Publishing in the fall of 2013. Her first novel, The Awakener, released in October of 2013. Book two, The Holy and The Fallen, released in May 2015. She currently working on book three, The Watchers Mark, which is expected to release spring of 2017. Watchers of Men series is a young adult paranormal romance. Hidden Monster, book one in Monsters Among Us series, released November 4th of 2014, and finished as a Finalist in the 2014 USA Best Book Award: Young Adult Category. Book two, Inner Demons, released February 15, 2016. The third and final installment, titled Monsters Among Us, should come out summer of 2016. Monsters Among Us series is a young adult, sci-fi thriller. ​When Amanda isn't writing, you can find her chasing her three rambunctious children around the house and spending time with her wonderful and supportive husband. On some occasions you can still find Amanda with her not-so-pink glasses, hiding in a corner reading her favorite latest fantasy novel, or working out only to blow her diet by eating chocolate.